Our first full day in Kyoto, however, was timed so we wouldn’t miss the magnificent procession of the Aoi Matsuri, or Hollyhock Festival. Quiet, solemn, and gorgeous, we got to watch the 20+ minute procession of men, women, and children dressed up in Heian period clothing as they wound their way from the Imperial Palace to two separate shrines. It was well worth it. 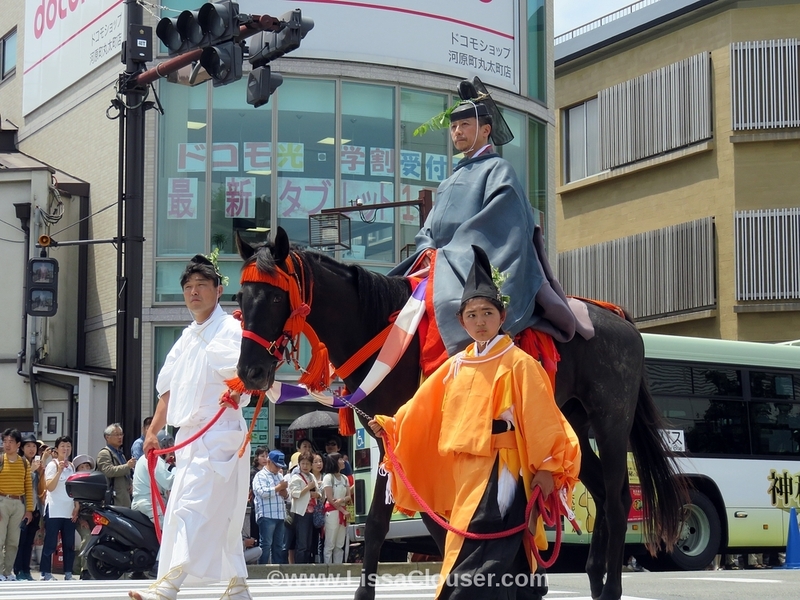 I hope to return to Kyoto someday in October so that I can see the Jidai Matsuri, or Festival of the Ages, as well. 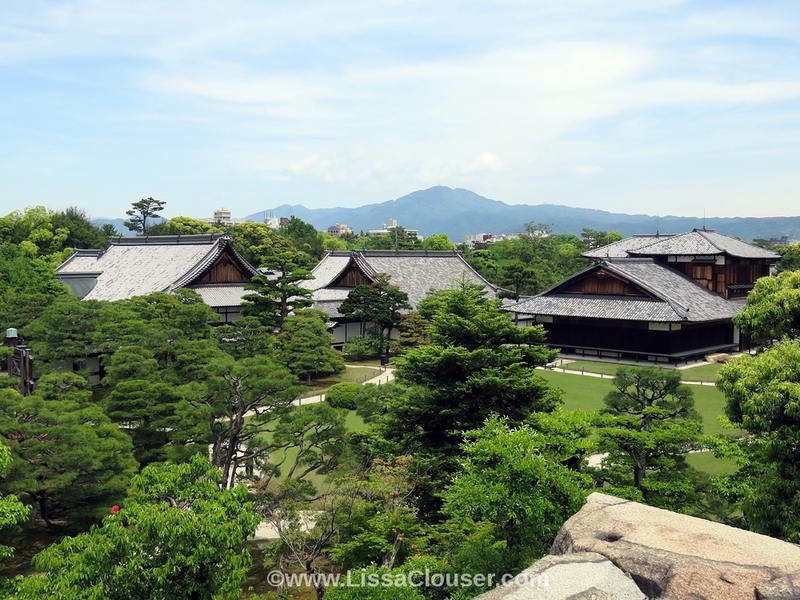 We visited one castle while in Kyoto: Nijo Castle. I have few pictures from this visit, especially compared to Osaka Castle, because Nijo Castle is still an original castle and the government and historical societies are very careful to preserve it. The nightingale floors still squeak, made that way to alert of intruders, and the rooms are still as they were hundreds of years ago. We saw few of the painted screens as the originals were being restored at the time of our visit, but in a separate building as we left the grounds they displayed some of the original pieces that were complete and we had the opportunity to enjoy that. The Azuchi-Momoyama period of Japanese history (1560s-1600ish, leading into the Edo era under the Tokugawa shogunate) was my focus of study when getting my Japanese degree, and it’s also an era that fascinates my husband, so anything from these time periods were especially interesting to us. Nijo Castle is from the early Tokugawa days, and knowing some of the history of the men who lived there made it pretty incredible to stand on the same floors they did and know who had walked there. 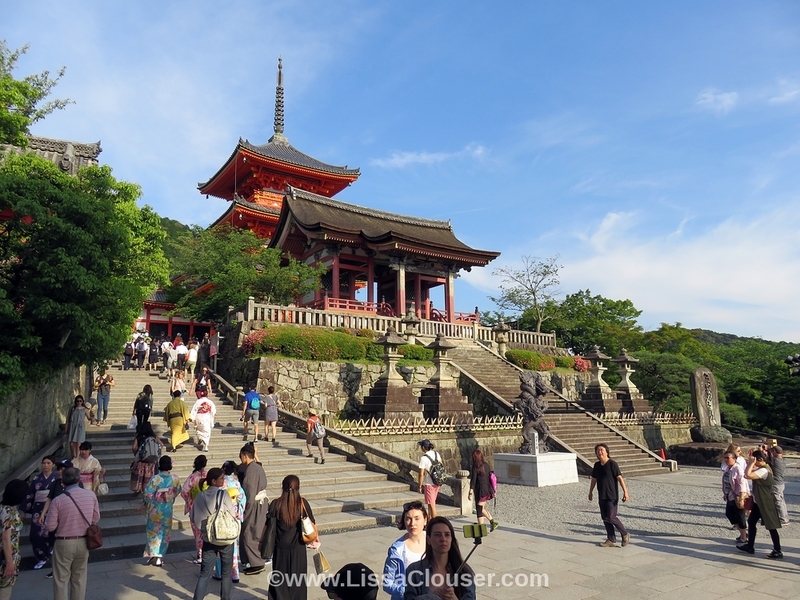 The famous temple Kiyomizudera was only about a 15 minute walk from our apartment. It was a real workout! Quite the incline to hike up, but so incredibly worth it. This was one of my favorite parts of our time in Kyoto and very much a temple I would love to revisit one day when I have much, much more time to enjoy it. This time we went toward the end of the day, so while we weren’t exactly rushed, our time was still shorter than I would have preferred. I really loved the little statues of, I believe, Jizo, the Buddhist deity of many things, including being the protector of children and travelers. (If I am wrong about this, someone feel free to correct me.) 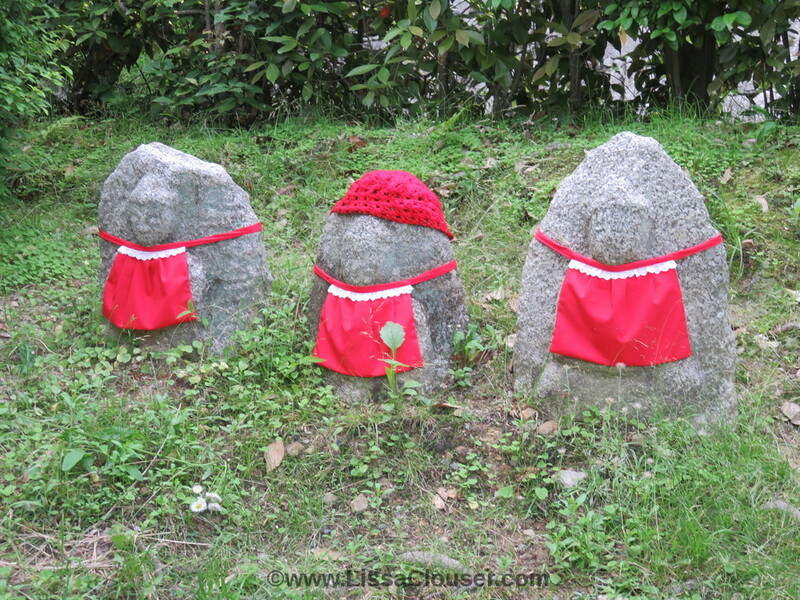 Kiyomizudera was the first time I saw these statues with their red bibs and, for some of them, red caps. Many of them along the pathways here were very worn by time and the elements, but once I figured out what they were I enjoyed seeing them all the more. I fell so much in love with the nature of Japan, and Kiyomizudera really sticks out in my memory. One of my first impressions upon seeing the mountain was that surely this was where the color green came into being. It was so vibrant and in so many shades, that I felt like the color had just been birthed and there had been no time or interference to sully the hues in any way. Pictures simply cannot contain this. 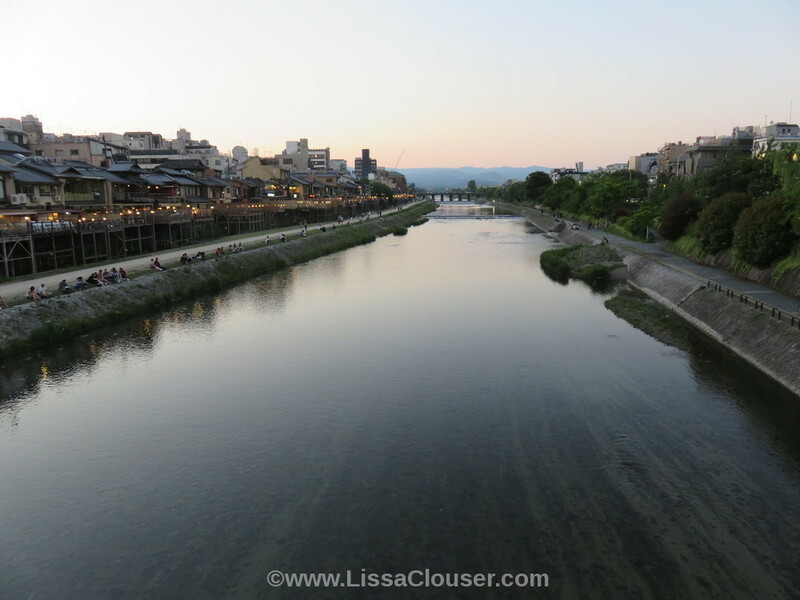 One of my other favorite parts of Kyoto was the Kamogawa, or Kamo River. We crossed this river several times a day on many of our days in the city, our apartment being about a 15 minute walk from it going in the opposite direction of Kiyomizudera. One of our evenings was spent having a fully traditional multi-course meal at one of the little restaurants in the left of that photo, with the seating set up outside so you could enjoy the river view and air. There were many times I would stop on the bridge from which this picture was taken, so totally caught in the view that I didn’t want to move, and my husband would have to nudge me along after a few minutes, reminding me we had places we wanted to go and I couldn’t spend all day there. Were I to get an extended stay in Kyoto or move there one day, you would find me somewhere along this river quite often. While in Kyoto we had many adventures. We had the opportunity to see the Kamogawa Odori performed by the maiko and geiko (the Kyoto term for geisha) of the Pontocho district. 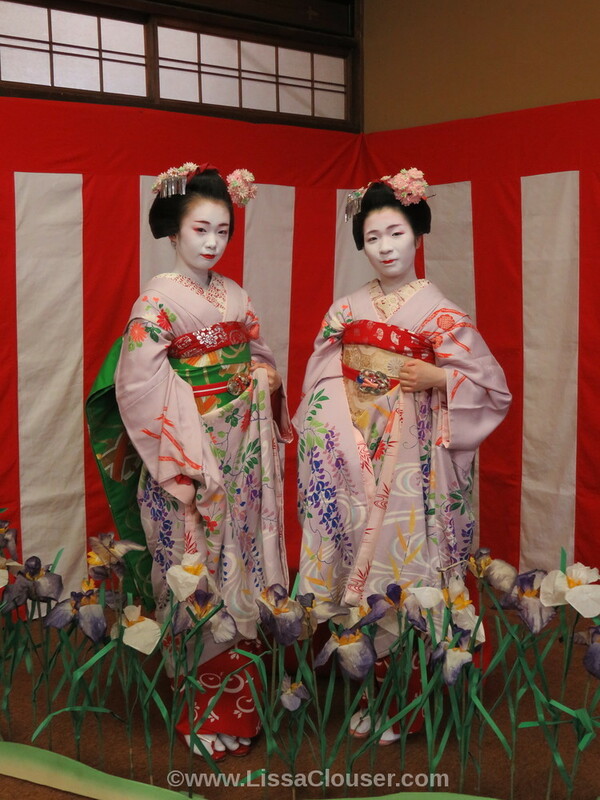 In fact, prior to the show, two of the maiko were gracious enough to spend a few moments posing for pictures for those attending. The girls were more beautiful in person than this picture can show and were stunningly graceful to watch. The incredible detail of their kimono, obi, and kanzashi (hair ornaments) were a delight to see up close. There were many opportunities for tourists to see performances by maiko and geiko, but seeing one of the yearly district festivals instead of one of those short nightly shows felt, to me, a bit more authentic. I didn’t see anyone not Japanese in the theater for the show we attended, other than us. I know we were tourists in the city and there was no way not to have a tourist (and foreigner) experience, but we did what we could to have more authentic Japanese experiences along the way and this was one of my favorites. On Kawaramachi Street we found a shop that sold over 200 kinds of parfait! It was heaven. 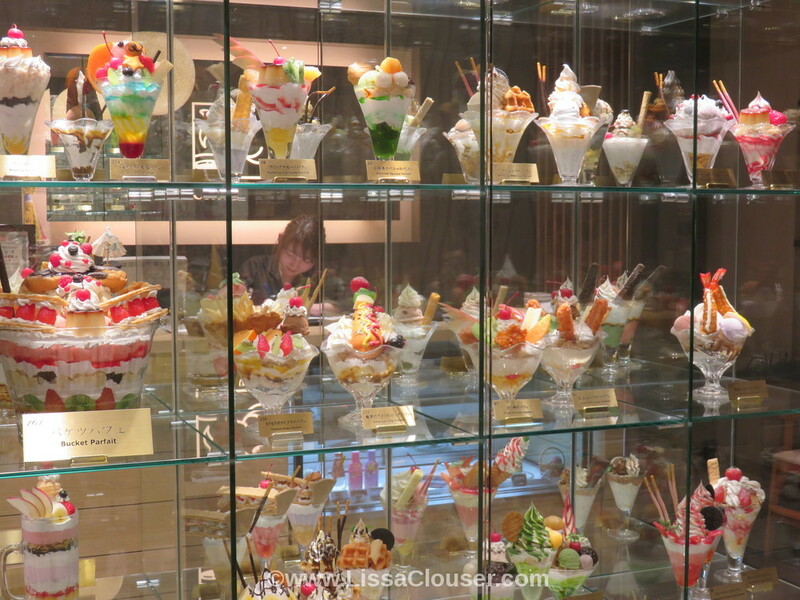 While we visited most places only once so as to see as much as possible, we went here twice because there was no way we could sample only one kind of parfait. There were plenty of classic options, some that were a bit more creative, others that were downright odd (like American Dog Parfait – aka corn dog – and Fried Prawn Parfait), and then some that were downright ginormous meant for large parties. The most expensive was a $500 behemoth! Also, Japan is the fake food capital of the world I think. Most restaurants have models of the food served on display and at least in our experience the real deal always, always looked just as good if not better. Something we learned is that in Japan, many sit-down restaurants close down quite early. If you go out looking for dinner at 8 PM, you might have a hard time finding it. This happened for us one night when we forgot to pay attention to the time as we wandered the streets and suddenly everything around us was closing up shop. This is also the only time I actually got lost in Kyoto. I finally had myself so turned around that while I felt somewhat certain about the direction I was going, I was now on unfamiliar streets that kept dead-ending or linking up in strange ways so I couldn’t figure out where we were. And this is how we found the ninja restaurant. You heard me. 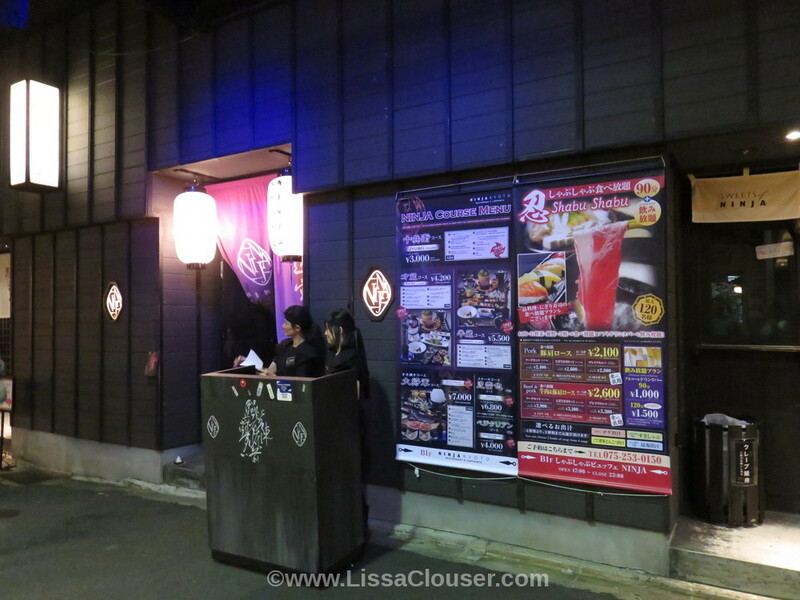 We were quite hungry at this point when I pointed down a very, very dark alley and told my husband ‘That sign says to go down that road for the ninja restaurant.’ He did a double take before we decided to check it out and sure enough… ninjas. I would absolutely return to this place. Assuming I could find it and it doesn’t disappear like a real ninja. The restaurant itself is in the basement and a ninja (actor) takes you through a maze in which you must demonstrate your ninja skills to conquer the path. It was a bit silly, but extraordinarily fun and we loved every single second of it. Honestly, while all customer service workers I encountered in Japan were friendly and upbeat, the people here had an extra spring in their step so I think they were having fun with the gig as well. Warning if you ever visit: the ceilings of the maze are very, very much built with the average height of the Japanese people in mind, so if you are on the tall side of that scale please mind your head!! Much of the food was ninja themed (and there were some very amusing ninja related notes on the menu), but all of the food was incredible. I could have happily eaten myself into a complete food coma here. In fact, even though we picked one of the smaller sets of courses to try, by the end of it I was assuring our servers that I was only eating a little of each dish because I wanted to have room to at least try everything and if I ate more, like I very much wanted to, I was never going to get up from the table again. This changed their worried faces to happy ones. While we did miss many of the shrines and temples of Kyoto I would love to one day see, we made sure not to miss Fushimi Inari. There are thousands of torii gates here traveling up the mountain and hundreds if not thousands of personal shrines throughout as well. 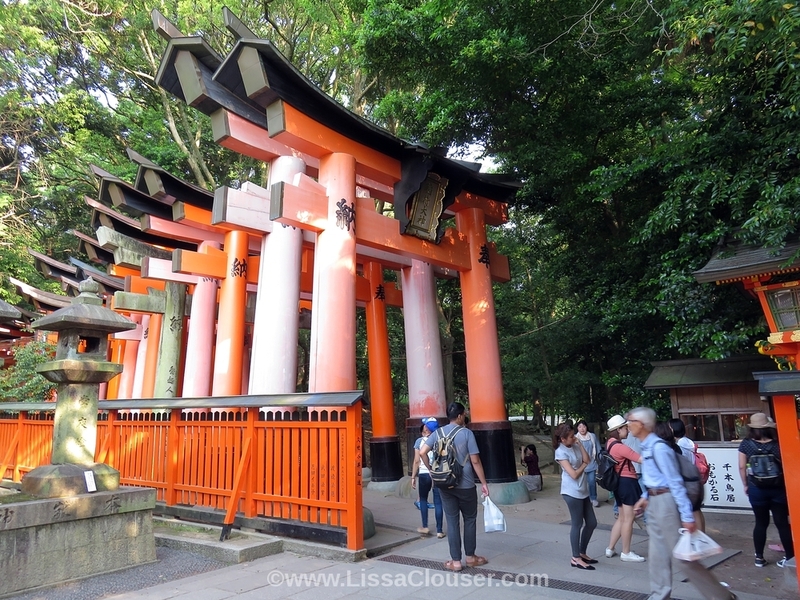 When we first began our trek up the mountain, the torii were ginormous. (The one in front of the main shrine is much bigger still.) They gradually decreased in size until finding a uniformity that was comfortable to walk through but no longer quiet so imposing. We made our way almost halfway up the mountain before stopping at one spot to look out and enjoy the incredible view of Kyoto from so high up. This was one of our last stops on the trip and we were both very worn out the day we visited, so we didn’t try to climb any higher and called it good. We got a bit turned around on our way back down though, so we ended up seeing a very different set of shrines and torii on our way down than we did on our way up. I took so many pictures at Fushimi Inari. 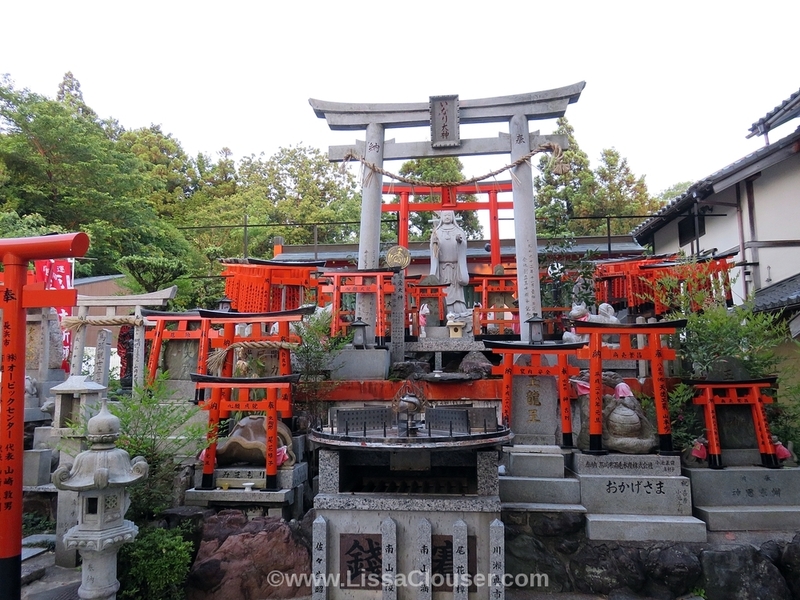 Many of the grand main path, but many more of the smaller shrines along the way. Despite being very similar in objects placed on each, upon closer inspection they each had so much personality as well. Some were very colorful, others had candles burning, some were very straight-forward and traditional. The main path up the mountain was stunning, but I enjoyed chasing the side paths more. There is so much more to see that I would also very much like to return here someday, just as I’d like to see Kiyomizudera again too. 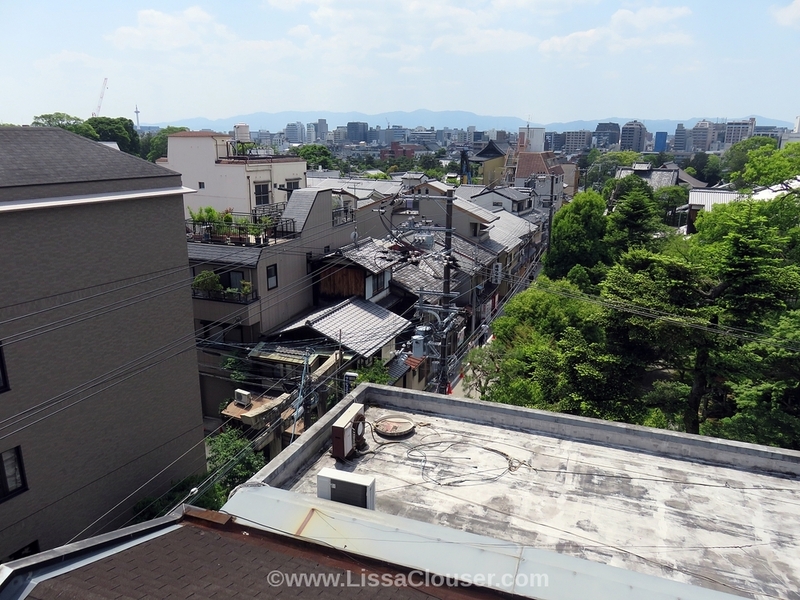 While we stayed in Osaka and Kyoto for our trip and spent most of our time exploring those cities, we did branch out on day trips to a few other places. Those will be in the next post! Looks like you hit up a lot of great places in Kyoto! About that parfait place- I ordered their $100 dollar one for a party of nine people once and we got maybe halfway through kt before having to call it quits. Delicious? Yes. Too big? Also yes. Thanks so much for dropping by! I can’t believe you ordered one of the giant parfaits! They were so good, but I can’t even imagine tucking into one of those, even with several people helping. Kyoto totally swept up my heart even more than I imagined it would. I can’t wait to go back, revisit some favorite places, and see many, many more. It was definitely a once in a lifetime experience- we all had tummyaches and regrets after, but I’m glad we tried it the one time, haha. Wow! What an amazing trip! Wow, so many old haunts in this post!! Aoi Matsuri goes right by where I used to work! And Kamo River was also one of my first loves of the city. 🙂 I’m so so so glad you got to pack so much into your trip! !